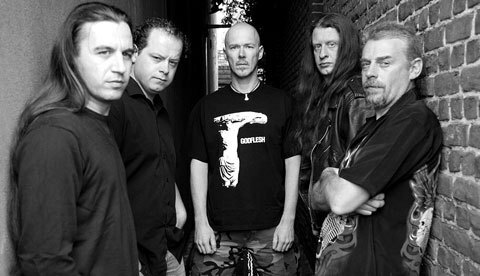 This is the second part of an article describing events that took place on the Eastern Front of World War II through the eyes of few extreme metal bands. This part is written with the musical help of Heaven Shall Burn, Marduk, Jucifer, Hell’s Domain, Vergeltung, and Tank; also here you will find exclusive comments from Darknation, Tales of Darknord, and Caducity… and some historical explanations from Wikipedia, of course, as such huge text would be pretty difficult for me to write and it could eat much more time. The Siege of Sevastopol also known as the Defence of Sevastopol was fought by the Axis powers of Germany, Romania, and Italy against the Soviet Union for control of Sevastopol, a port in the Crimea on the Black Sea. On 22 June 1941 the Axis invaded the Soviet Union during Operation Barbarossa. Axis land forces reached the Crimea in the autumn of 1941 and overran most of the area. The only objective not in Axis hands was Sevastopol. Several attempts were made to secure the city in October and November 1941. A major attack was planned for late November, but heavy rains delayed the Axis attack until 17 December 1941. Under the command of Erich von Manstein, Axis forces were unable to capture Sevastopol during this first operation. Soviet forces launched an amphibious landing on the Crimean peninsula at Kerch in December 1941 to relieve the siege and force the Axis to divert forces to defend their gains. The operation saved Sevastopol for the time being, but the bridgehead in the eastern Crimea was eliminated in May 1942. After the failure of their first assault on Sevastopol, the Axis opted to conduct siege warfare until the middle of 1942, at which point they attacked the encircled Soviet forces by land, sea, and air. On 2 June 1942, the Axis began this operation, codenamed Störfang (Sturgeon Catch). The Soviet Red Army and Black Sea Fleet held out for weeks under intense Axis bombardment. The German Air Force (Luftwaffe) played a vital part in the siege. The Luftwaffe made up for a shortage of Axis artillery, providing highly effective aerial bombardment in support of the ground forces. Finally, on 4 July 1942, the remaining Soviet forces surrendered and the Axis seized the port. Both sides had suffered considerable losses during the siege and attack. 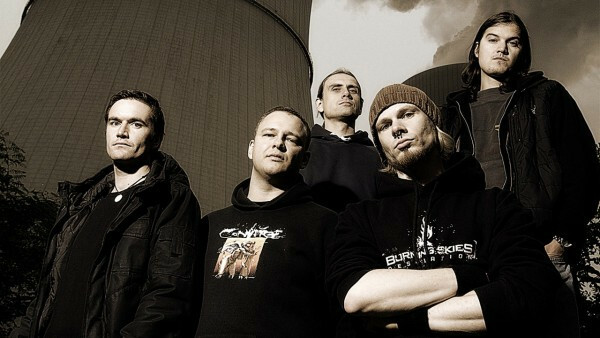 These events are partly reflected in the song “Sevastopol” performed by German melodic death band Heaven Shall Burn on their sixth album Invictus (2010). 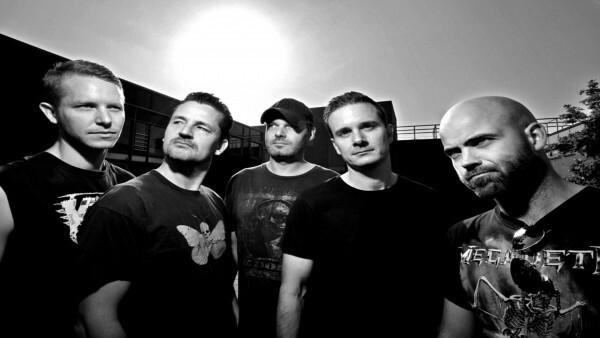 Heaven Shall Burn are known for their fierce approach to music, but also for their strong anti-fascist positions. 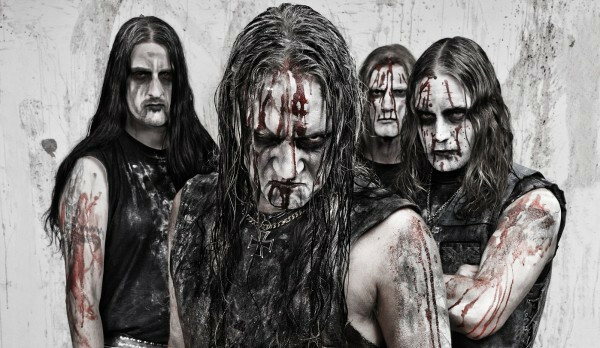 Black metal legends Marduk are busy dudes, so I didn’t get their response to questions, but do we need it when a song like “Prohorovka: Blood And Sunflowers” speaks for itself? The Battle of Prokhorovka was fought on 12 July 1943 near Prokhorovka, 87 kilometres (54 mi) southeast of Kursk. The fighting was part of the wider Battle of Kursk, and occurred when the 5th Guards Tank Army of the Soviet Red Army attacked the II SS-Panzer Corps of the German Wehrmacht in one of the largest tank battles in military history. In April 1943, the German high command began preparing for Operation Citadel, with the aim of enveloping and destroying the Soviet forces in the Kursk salient. The Soviet high command, Stavka, learned of the German intentions, and employed a defence in depth strategy, preparing a series of defensive lines along the routes of the planned German offensive. The Soviets also massed several armies as the Steppe Front, which included the 5th Guards Tank Army, deep behind their defences, which they intended to use to launch their own counteroffensives once the German strength had dissipated. On 5 July 1943, the Germans launched the operation. On the southern side of the salient, the German 4th Panzer Army, with Army Detachment Kempf on its eastern flank, attacked the Soviet defences of the Voronezh Front. A week into the German offensive, the Soviets launched powerful counterattacks against the attackers. On the southern side of the salient at Prokhorovka, the 5th Guards Tank Army attacked the II SS-Panzer Corps of the 4th Panzer Army, resulting in a large clash of armour just outside the settlement. The 5th Guards Tank Army was decimated in the attack, but succeeded in preventing the Germans from capturing Prokhorovka and breaking through the third defensive belt to achieve operational freedom. The German offensive was later cancelled and their forces were withdrawn. The Red Army went on a general offensive and seized the strategic initiative on the Eastern Front, which it was to hold for the rest of the war. The hammer hits the anvil. Marked by constant close quarters combat and direct assaults on civilians by air raids, it is often regarded as the single largest and bloodiest battle in the history of warfare. The heavy losses inflicted on the German Wehrmacht make it arguably the most strategically decisive battle of the whole war. It was a turning point in the European theatre of World War II; German forces never regained the initiative in the East and withdrew a vast military force from the West to replace their losses. The German offensive to capture Stalingrad began in late summer 1942, using the 6th Army and elements of the 4th Panzer Army. The attack was supported by intensive Luftwaffe bombing that reduced much of the city to rubble. The fighting degenerated into building-to-building fighting, and both sides poured reinforcements into the city. By mid-November 1942, the Germans had pushed the Soviet defenders back at great cost into narrow zones generally along the west bank of the Volga River. 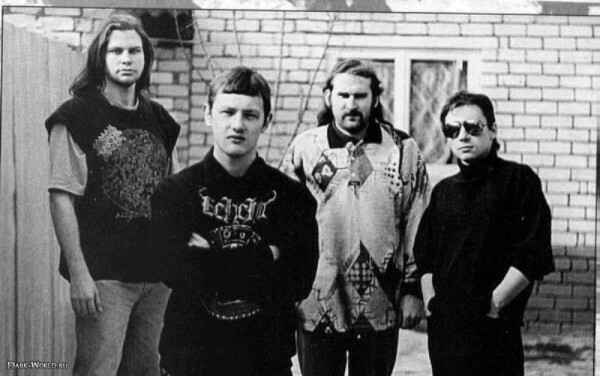 The death metal band Tales of Darknord are from Volgograd / Stalingrad, so it’s natural that they have songs dedicated to events of this battle on the album Stalingrad: War Episodes. The band doesn’t exist anymore, but I found its mastermind Anton Shirl (vocals, bass, guitars) and asked him to give a few comments about his songs. That was my idea, to write songs about the Stalingrad battle as I was born in this city where 70 years ago raged the greatest battle of World War II, so I just needed to compose something dedicated to the memory of our ancestors. “Thanks to the” Battle of Stalingrad, my father grew up without his father, and I — without a grandfather. 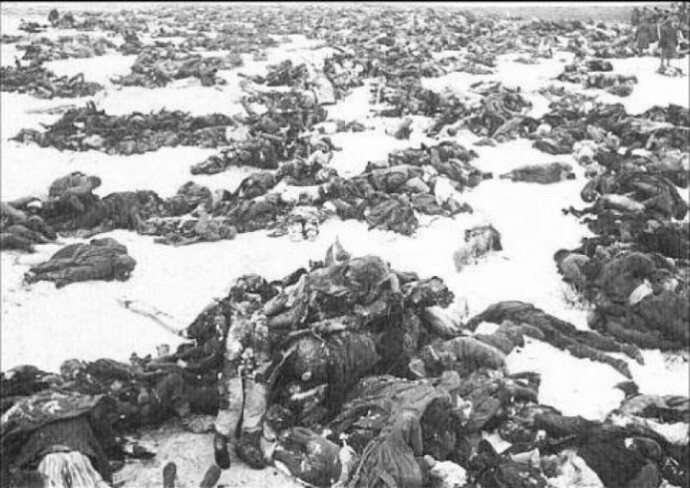 The loss of Soviet troops at Stalingrad totaled more than 1 million people, not counting the losses among civilians. The least we, the descendants, can do is to remember the lessons of the past, do not play in political games, and do not repeat past mistakes. Our album is a reminder about that. Each track on the album is a separate episode of the battle of Stalingrad. The first song “Deathblow” tells the story of the devastating bombing of Stalingrad, 23 August 1942. Before entering the city, fascist army used aviation that destroyed Stalingrad in a few hours, turning the entire city to ruins. More than 90 thousand people perished. As you know, the evil returns back to its doer, and then something like this happened in Hamburg and Dresden. There Volgograd (until 1961 — Stalingrad) has its own “Brest Fortress”: Pavlov’s House, a four-story residential building in the center of the city, which the Nazis attacked for two months, but were not able to take. The third track “Not a Step Back” is dedicated to defenders of the house. “All this after three generations it seems a terrible tale come true, but look at the news and you’ll see: the world is in one step from total madness. Let us remember this”. Order No. 227 issued on July 28, 1942 was a grand order issued by Joseph Stalin. It is famous for its line “Not one step back!”, which became a slogan of Soviet resistance. During the first part of the Great Patriotic War, the Soviets experienced heavy losses along with mass retreat and desertion. Stalin released order No. 227 to reestablish discipline in the Soviet Army against Nazi Germany. The house was a four-story building in the centre of Stalingrad, built perpendicular to the embankment of the river Volga and overseeing the “9th January Square”, a large square named for Bloody Sunday. In September 1942, the house was attacked by German soldiers, and a platoon of the Soviet 13th Guards Rifle Division was ordered to defend it. The platoon was led by Junior Sgt. Yakov Pavlov, a non-commissioned officer serving as acting platoon commander since the unit’s lieutenant and senior sergeants had all been wounded or killed. The strategic benefit of the house was that it defended a key section of the Volga bank. The tactical benefit of the house was its position on a cross-street, giving the defenders a 1 km line of sight to the north, south and west. After several days, reinforcements and resupply arrived for Pavlov’s men, bringing the unit up to a 25-man understrength platoon and equipping the defenders with machine guns, anti-tank rifles, and mortars. In keeping with Stalin’s Order No. 227—”not one step back”, Sgt. Pavlov was ordered to fortify the building and defend it to the last bullet and the last man. Taking this advice to heart, Pavlov ordered the building to be surrounded with four layers of barbed wire and minefields, and set up machine-gun posts in every available window facing the square. In the early stages of the defense, Pavlov discovered that a PTRS-41 anti-tank rifle he had mounted on the roof was particularly effective when used to ambush unsuspecting German tanks; once the tanks had approached to within range of the building, their thin turret-roof armor became exposed to anti-tank rifle fire from above, and were unable to elevate their weapons enough to retaliate. The Germans attacked the building several times a day. Each time German infantry or tanks tried to cross the square and to close in on the house, Pavlov’s men laid down a withering barrage of machine gun and anti-tank rifle fire from the basement, the windows and from the roof top. I wrote to the guys of the French heavy / thrash band Darknation, as I know that they have a double album WW II, and got comments from the band’s guitarist Alexandre Boise. We already talked about historical events on our first album, and when the time came to write the next one, we really were into concept albums, such as Angra’s Temple of Shadows or Dream Theater’s Metropolis pt2. It was obvious for us that WWII would be a great topic for a concept album, that we would treat chronologically. There are two songs dedicated to the Eastern Front. The first one is “Talvisota”, which means winter war in Finnish. As you could guess, this one is about the conflict between the Soviet Union and Finland in 1939/1940, which had some consequences in France, because the allies were anxious to take control of northern Sweden’s iron ore. The second one is obviously “Stalingrad”, in which we tried to relate the events of late 1942/early 1943. Stalingrad is a major turnaround in my opinion. Those guerilla-oriented fights in a wrecked city, with snipers and massive artillery use, were something new in “the art of war”, and unfortunately, it quite became the norm afterwards. USSR had a major role in the conflict, because it kind of got the Nazi army out of breath on the eastern front, which eased the UK’s work in particular, who were able later to stand up against the German forces and to be the heart of the counterattack. Things would have probably been really different if Germany hadn’t decided to attack Russia in 1941. Also I would like to mention a key moment in 1942 with the second battle of El Alamein, which is (as our lyrics say) the “first reich’s defeat of the war”; even if it was outside the European ground, it marked a first breach in the German strategy. The second one is “Stalingrad” for the reasons I mentioned earlier about the eastern front. This is why those two songs are respectively the last one of CD1 and the first one of CD2. This is where the situation really started to change. The other turning point I would mention are the Normandy landings, which have a strong symbolic value for us in France, since this is the end of German occupation that lasted for more than two years and had plunged the country into fear and misery. This is why we built this 18-minute, 6-piece song entitled “Operation Overlord”. And when the album came out and we had to choose a song to shoot a promo video, “Overlord” was the only possible choice. There has been much progress accomplished lately. The hatchet is buried for good between France and Germany, as we have seen it during the 2014 Normandy landings celebrations. France admitted its responsibility in the Vel’ d’Hiv events (a massive roundup of Jewish people in Paris in 1942) only in 1995. Since then, we saw a growing number of manifestations to encourage the duty of remembrance, through movies, books, political and educational actions. This is our target, too. 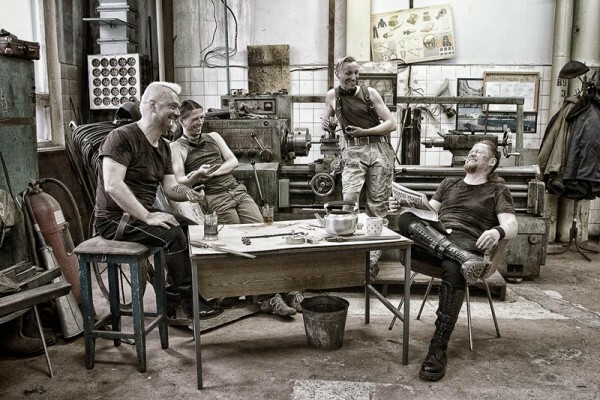 When this article was quite finished, I found that the industrial / melodic death band Vergeltung (Saint-Petersburg, Russia) also has the song “Stalingrad” on their album System Overload (2008). It was too late to write the band, so I believe that these lines from the song will give you an overall impression of the track itself. Bringing enemy to its final stop. The American harsh duo Jucifer has an entire album about the Battle for Stalingrad, and its title is written in Cyrillic — За Волгой для нас земли нет. The title refers to a quote, usually attributed to the Soviet WWII hero sniper Vasily Zaitsev. Whether or not he originated it, the phrase became a mantra for the Russians who lived in and fought for Stalingrad during one of the worst battles known to human history. За Волгой для нас земли нет” essentially translates “For us there is no land beyond the Volga”, which encompassed the concept that retreat would be senseless and defeat catastrophic; that a failure to defend Stalingrad would lead to Nazi occupation followed by unstoppable invasion, threatening the entire Russian people and way of life. The story of this one small area of Russia is unbelievably rich. Our album is in part about the Battle of Stalingrad but beyond that, is about the deep history of the land itself and the people who inhabited and shaped it both before and beyond the WWII era. We chose the title because it references the great spirit and tenacity of the city (now Volgograd), of the river lifeline which brought civilizations there since the dawn of Europe, and of the people themselves across centuries who lived and died with great passion for their home”. On 19 November 1942, the Red Army launched Operation Uranus, a two-pronged attack targeting the weaker Romanian and Hungarian forces protecting the German 6th Army’s flanks. The Axis forces on the flanks were overrun and the 6th Army was cut off and surrounded in the Stalingrad area. Adolf Hitler ordered that the army stay in Stalingrad and make no attempt to break out; instead, attempts were made to supply the army by air and to break the encirclement from the outside. Heavy fighting continued for another two months. By the beginning of February 1943, the Axis forces in Stalingrad had exhausted their ammunition and food. The remaining elements of the 6th Army surrendered. The battle lasted five months, one week, and three days. I’ve been interested in WW2 since I was a young bloke; playing in bands since 2001 (In-Quest and Caducity) I tried to create songs about this war. The whole album Destination: Caducity is dedicated to the German and Russian soldiers who fought in Stalingrad. On my grandparents’ land stood a German battery that fired at the English and US troops in September – October 1944. Also my grandfather told about the V1 and V2 rockets which where fired into the Antwerp-port at the end of ’44, early ’45. He was very afraid of it, and in our area over 30 people died when a V1 crashed on a small village in early ’45. Here there are a lot of museums (especially in the Ardennes and the coast side). WW2 did have a big impact on daily life during the war but also after the war. The T-34 was a Soviet medium tank that had a profound and lasting effect on the field of tank design. Although its armour and armament were surpassed later in the war, it has been often credited as the most effective, efficient, and influential tank design of World War II. 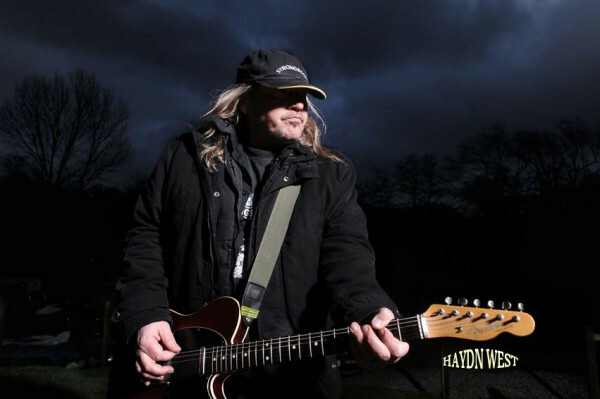 There is a song about the T-34 on the fields of World War II in the album of Algy Ward’s heavy metal project Tank. This British project has existed in a few different forms with different lineups since 1980, and it is difficult for me to retell its story. Really cool piece, once again. Thanks for writing it. Nothing about Toxocare (songs “T-34” and others…) and nothing about TMDC ? Lots of eastern front songs from both of them. There will be a Part III, though I’m clueless about which bands will be in it. Never heard about them. Can share some links?